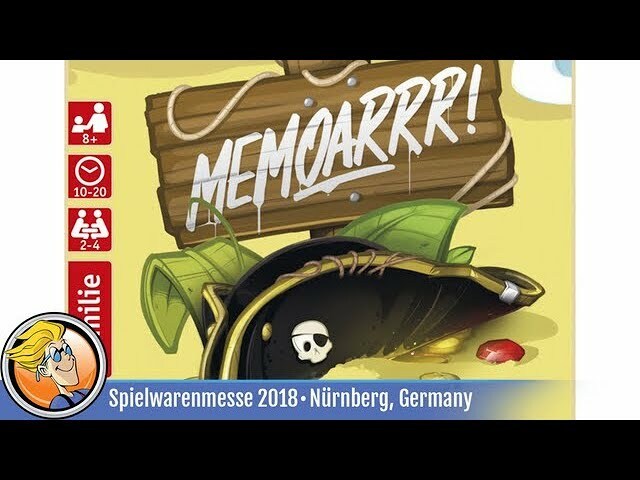 Shortlisted for the 2018 Spiel des Jahres, Memoarrr! is a match and memory board game where players must escape the island of Captain Goldfish with pockets filled with rubies before the volcano erupts! Reveal more of the island and its precious treasures and keep the layout of the island in mind! As the cards do not change position during a game, players collect more and more information each round, enabling them to reveal new connections — but sometimes a little bit of luck is all it takes to get that treasure. Buy Memoarrr! for a piratical game of treasure hunting.